We help make your event even more than you dreamed of! We specialize in weddings in Green Bay, Milwaukee, Door County and beyond. We are the area's premier event and wedding planning company, with have a wide array of planning services, wedding invitations, stationery, and rentals! We help couples plan the most important day of their life! Whether it is deciding on the correct venue, designing the stationary, sending out the invitations or tasting cake we are there to guide them and make them aware of their options at any point in the process. I have been in the bridal industry for over 10 years, starting out at my Mom’s bridal shop. I found a passion for all the details that go into weddings and opened sash&bow in 2009. 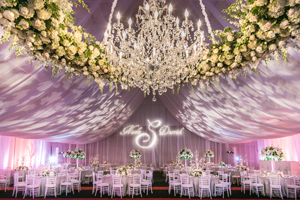 We specialize in helping you plan and coordinate the biggest day of your life. You only get married once, let us help you make it stress free and one of a kind. We know the tips and tricks to make the event more than you ever could have dreamed of. From the beginning to the final touches we are here for you. We offer full event coordination packages and decor assistance packages. Our Platinum full event coordination is by far our most popular! Our brides love the fact that we work with them from the very beginning to help bring their vision to life. From creating (and sticking to!) a budget, helping select vendors, stationery, decor, and everything in between, we are here to help make this a stress free and enjoyable process. Our packages begin at $1450 for Decor Assistance and our Full Event Coordination begins at $6950. Do you offer any other special services? We offer a wide variety of invitations and rental items. We take great pride in having numerous awards from both weddingwire.com & the knot. We can’t thank our past couples enough for allowing us to not only be a special part of their day but for letting us be creative in the process. We have worked with some of the most wonderful, thoughtful, and kind brides out there, along with their families! And to all of our future couples, we can’t wait to help you make your wedding everything you’ve dreamed of!